Inspired by my Lucky Mag! One of a vacation’s simplest pleasures for me is having the down time to flip through some of my favorite magazines, coffee in hand, at my leisure. Ok, it doesn’t hurt to be able to do that sitting on a beach with my toes dug into powdery sand..that is a bonus for which i’m truly grateful. But one magazine got all the oohs and ahhhs this time. 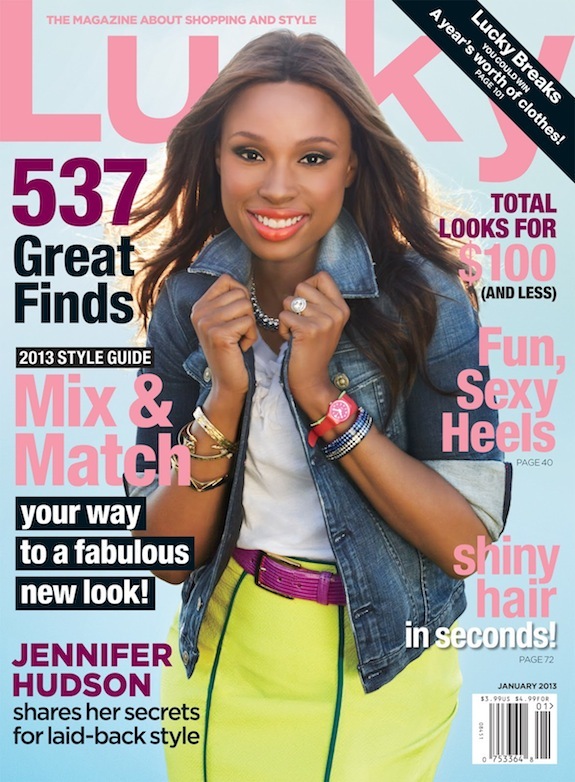 The January issue of Lucky Magazine is a MUST read. I can honestly say these 106 pages got me right fired up not only for Spring but for the weeks leading up to it. I’ve done the black on black on black..and truthfully, i still have a love for it. Always will. On a bad day, black can make you feel positively svelte..or at least headed in that direction! So i’m not telling you to ditch it. Nope. But…. i am suggesting that you step out of the neutral comfort zone and take a lil walk on the bright side. With me. The Lucky issue isn’t the only place chock-a-block full of ideas for bringing color into your wears. 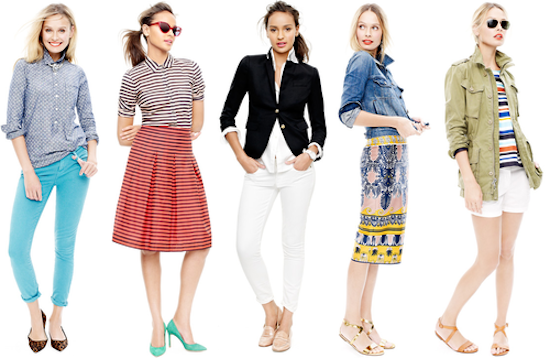 JCrew is brimming with smartly paired stripes, dots and wowza colours! Take note: colour..even in pastel, is not only acceptable for winter, it is WELCOMED! Pieces that are bright and bold and in differing weights are perfect especially for us west coasters. This Michael Kors mesh sweater can be worn now with leggings, boots and a chunky scarf…in spring, pair it capris and ballet flats. Throw this over your tank top for those cool summer evenings. A pair of bold denim is a year round staple…look for after Christmas sales to scoop up a cheerful pair. These JCrew skinny jeans are a steal! A cardigan is a go-to in any climate. Here on the west coast we layer and LAYER! But even in warmer temps, a cardi is perfect for an air conditioned office/restie or a cool eve. 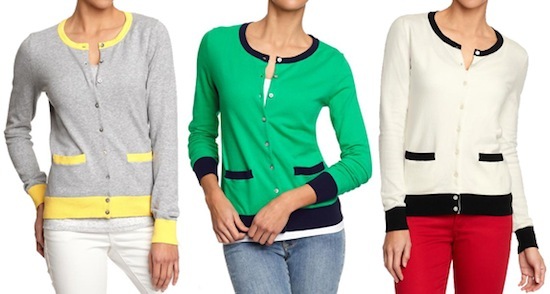 Old Navy’s cardi comes in 8 different shades so take your pick. Layer under your cardi with a contrasting colour…like one of these JCrew popover shirts. Gorgeous! Slip on a dress with high boots, a chunky scarf and denim jacket for a chic winter look….shed the layers as the temps rise. Pair with leopard print flats to give a casual yet pulled together look. If baby steps is what it’s going to take to brighten you up, this clutch fits the bill! Contrasting bands of colour give great detail to these brightly colored beauties. And at $35, a genuine leather clutch like this is sure to get snapped up quick! 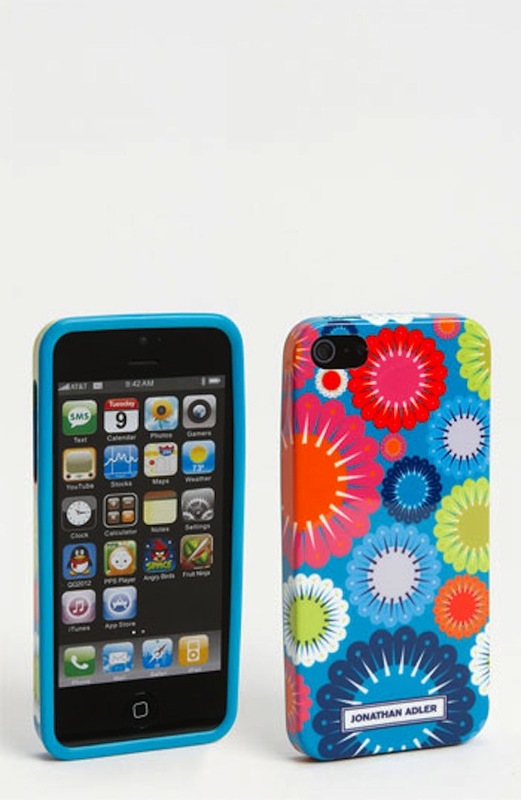 The only word that come to mind is exuberant..can an iPhone case be exuberant?? This one CAN! Tory Burch flats are considered a splurge item that can be worn for years to come. i am still wearing my first pair that i got 5 years ago. The classic styling of this shoe is timeless. 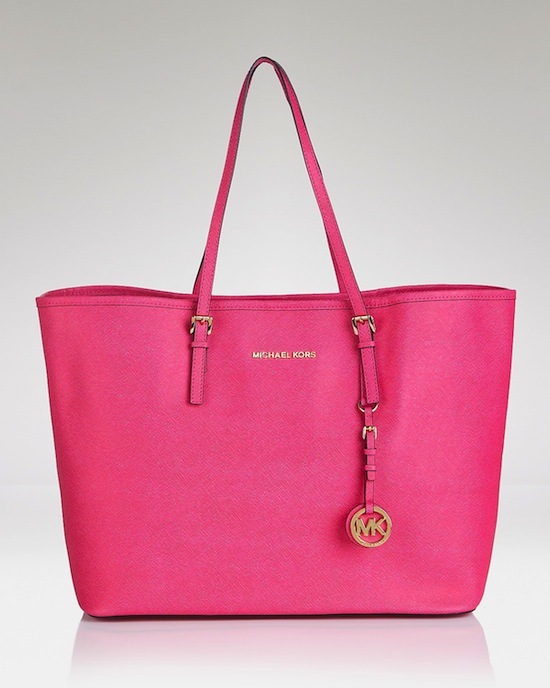 Splurge on items that will stand the test of time! This turquoise hue will look smashing with denim, navy, crisp white, and other brilliant colours. My challenge to you: Take one of these items you are inspired by and make it happen in your closet. Re-purpose items that you have and look to add new colourful items that are budget-friendly. Submit your new look to us…and watch to be featured in an upcoming post! **Pics can be emailed to laurel@sugarplumsisters.com Bring ’em!